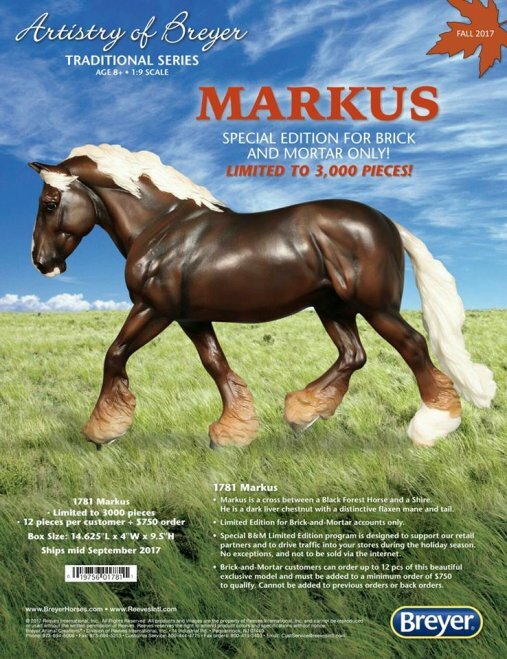 Markus is a cross between a Black Forest Horse and a Shire. He is a dark liver chestnut with a distinctive flaxen mane and tail. Markus is the Shannondell mold in a beautiful silver black color. He is the loose mane version. 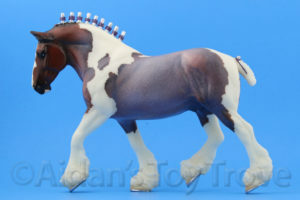 I was a bit surprised to see this horse after the ‘leak’ of Sugarmaple whom I anticipated would be Breyer’s next release. Apparently I was wrong!